The 20mm Excelsior Lanyard : great quality, crisp prints, loads of colours and low prices: get yours today - call 1300 303 717. 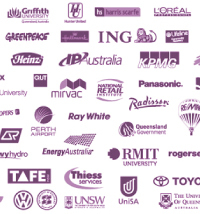 We are part of a larger promotional group with international reach and suppliers but which Aussie companies trust us ? 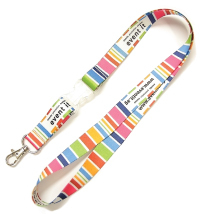 Don't let your design be compromised: our full colour lanyards will not diminish your ideas. LOWEST COSTS IN AUSTRALIA. 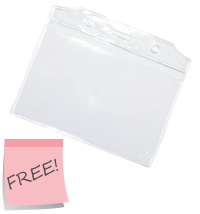 Free 'Saver' ID Holder with any order of lanyards for a limited period. This offer will save you $250+GST on 1000 pieces! 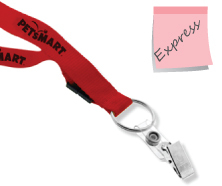 Excludes orders of express and novelty lanyards. 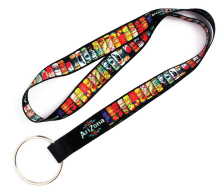 Hundreds of colours, great quality and low prices combine to give the best printed lanyards in Oz. Call us and save today! Have your lanyards printed in unlimited colours on both sides for greater promotional impact: let your creative juices flow! Need them fast? - ZOOM...here they are! Lanyards professionally printed and dispatched in days not weeks. 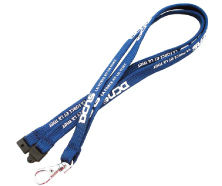 A customised tube lanyard will offer you a point of difference and turn your lanyard into a promotional talking point. High Viz Reflective Lanyards to make your message stand-out are a great way to set your brand apart from the rest! 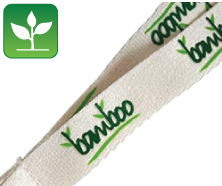 Made from Eco Friendly Bamboo Polyester these are the way to go when you need a greener promotion. A range of practical ID Holders for your lanyard order - low cost and a great add-on to your order of lanyards. Welcome to our Promotional Lanyard Superstore! We have Australia's most comprehensive and best chosen range of Custom Printed Lanyards that can feature your custom promotional printing. Get started by having a look through our product categories - they are full of great quality options and are all at Australia's best value options. Select your chosen lanyards and the send us a FAST QUOTE and we will get back to you with rock solid confirmed pricing. 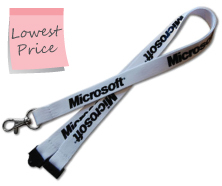 On offer here at sliceoflimedesign.com is a fantastic selection of the best Promo Lanyards in Australia . As you can see our range encapsulates the most popular styles on offer: Flat Polyester, Full Colour, Express, Tubular, High Viz, Novelty, Woven, Eco, Executive and of course ID Holders Whichever type you require we are here to help with making your selection of Promotional Lanyards. We offer some unique points of difference to other Australian Lanyard Suppliers. On our flat polyester range we have literally hundreds of colours you can choose from. Having such a comprehensive range of colours ensures that your brand identity will never be compromised. We can also print any colour/s you want or require. 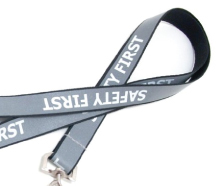 Another great feature of our lanyards is that we have them with a safety breakaway as standard. We also then have lots of different optional extras that you can fully customise your lanyard with. The order process is simple here too! 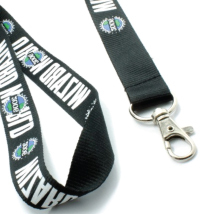 After calling and talking with us (our staff are here to help select the best options for you) and receiving your fast quote it only takes us about 4- 8 business hours to make your custom lanyard proof. This proof will show in detail exactly what you will get on your chosen lanyards - lanyard colour and size, print colour, optional extras are also clearly shown. 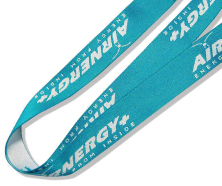 Delivery times for Promo Custom Lanyards: Very basically we have two supply options for these lanyards - Australian held stock lines which we hold in Melbourne and then print with your logo and dispatch in a few days (call and tell us when and where you need yours and we will accommodate any reasonable request. Secondly most of lanyard sales come direct from our partner factory in China. These typically take 2-4 weeks for delivery depending on the size of your order, the complexity of the order and how busy the factory. Firm delivery dates and time frames can be advised by our staff for your exact requirement. 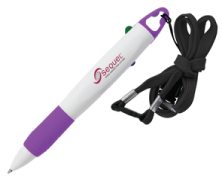 We are not the only option for supply of Promotional Branded Lanyards in Australia, however we believe we have some compelling reasons for dealing with us: ~ We are an Australian based company - many of our competitors are marketing arms of overseas firms. ~ We have a direct interest in a Chinese factory - this ensures low prices and fast service. ~ We can offer an express service from our Melbourne factory - delivering fast to Sydney, Melbourne and Perth your order of lanyards: Australia wide service. ~ We have literally hundreds of colour choices from our overseas factory. ~ We do not charge set up on our lanyards - all are costed with set up included. There you have it! : we are ready and waiting to help with your Promo Lanyard order - call us at anytime we are ready and waiting to help.